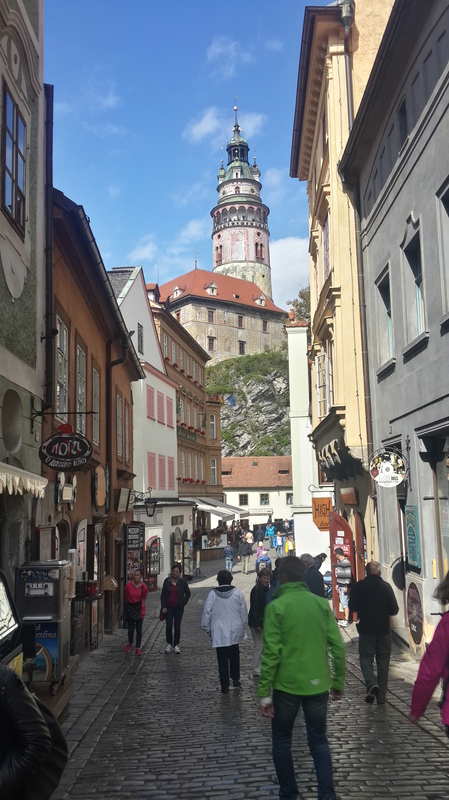 Cesky Krumlov is an incredible small town near the border of Czech and Austria, where walking through it feels like a live museum of the 16th, 17th and 18th century. From Vienna, there are also many shuttle services online you can use to book. I took CK shuttle and it was a small comfortable minivan that had a toilet stop and free water. This was a little more expensive, around 35 euro (less popular route) but had several different times a day to choose also. It is best to stay in the old town walls, as this is where everything is and you walk everywhere. There are many hostels and guest houses in the centre, but the town hosts a lot of tourists in the summer so I would book slightly ahead if you can. I stayed at Hostel 99 just inside town, which is connected to its restaurant and bar 99 and deli as well which is convenient. It is decently priced and is the drop off point for Busabout tours, which means that in summer a tour company drops off groups of young people every 2 days. This is great for solo travelers as there are always friends around. However something they don’t mention online is that the place has a reputation for being incredibly haunted! It used to be a leper hospital and the attic, where a 12 bed dorm now is, was home to many suicides. There are many stories about guests who have seen paranormal activity and it’s a spooky place, but if you’re brave go for it- it’s full of character! The town is full of intrecate cobbled stone streets and buildings from the 16th-18th century. They all have a story behind them and the walking tour is the best way to fully understand the town’s history and explore it all. All the tours leave from the town square at different times of the day. The town is small enough that you can wander for hours and wind around the streets and still be 1km from your hostel. Take time to look up and enjoy the gorgeous architecture of every building and get a little lost! In the town centre there is a huge castle which hosts 5 courtyards, gardens, a revolving threatre and a colourful tower with the best view of the city! The free walking tour ends at the castle and from there you can explore more. The town has a surprisingly large nightlife for only 13000 residents. I went out on a Wednesday and went to at least 5 bars that were great! There is the second biggest club in Czech Republic City Lounge which is open Wednesday- Saturday with a cool castle interior. Other than that, wander around the main street (it’s not that long) and you will see plenty of places open. There are bars with pool, didgeridoo shows and loads of live music. Locals are really friendly to meet and the beer is $1 a pint so enjoy! I would recommend staying 2 nights here, or maybe 1 night if you have two days either side of it. This entry was posted in Czech Republic, Europe. Bookmark the permalink.